Hello to all the Monsters addicted and those who soon will be! 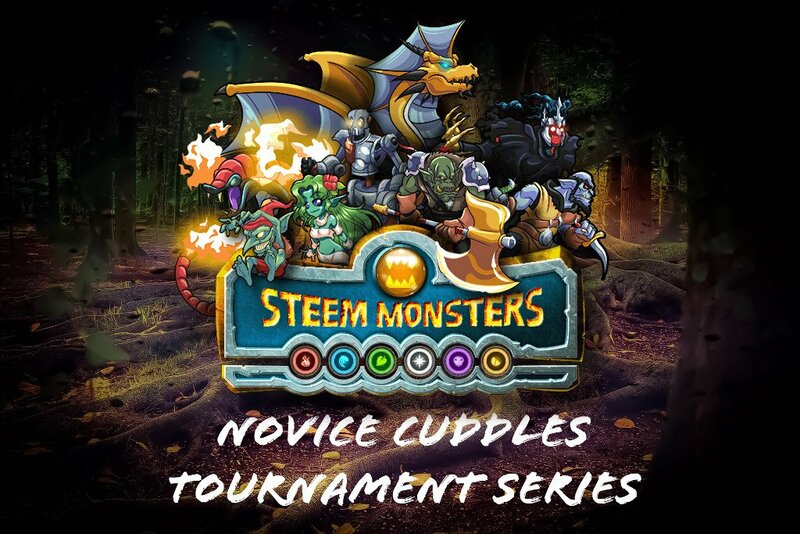 It is a pleasure for me to announce the first Novice Cuddles Tournaments series sponsored by @pharesim, consisting of 5 Novice level tournaments in one week with an initial prize pool of 100 STEEM each. Registration is completely free, but for participants who want to support more players receiving a prize it is possible to send STEEM to @jukatravels with a memo of the tournament to add something to the pot on that date. This tournament is specifically meant for players who do not have a lot of funds to spend on cards or who have just recently discovered this addictive game which has us all hooked. This is your opportunity to get some liquid funds to spend on the market and level up your cards! Of course we won't review your collection, so everyone is free to participate, but our hope is to help take some small players up into higher leagues. A maximum of 5 Steem, depending on the value of the player sponsored prize pool for the specific date. Doble elimination tournaments. You will have a second chance if you lose a battle and you will be moved to a lower bracket. Each round the player who wins the most out of 3 matches (2:0, 2:1) proceeds. Registration will be closed 15 minutes before the tournament starts. Make sure to check in during the 15 minutes prior to the tournament. If you don't, you will be removed from the list before it starts. Challonge username has to match your steem username, as well as your Discord username. To enable steemians of a lot of nationalities to participate, the tournaments will begin at incrementing times: 4 pm GMT the first, 9 pm GMT the fifth. The player on top will send the challenge to his opponent and will be responsible for indicating the results in Challonge. Legendary cards are banned. Using one ends the match with -1 for the offender. Do not submit your result before the round has finished, the reporting of a wrong result leads to a penalty point (you automatically lose one game!). Sending the wrong level of cards means that you will have to repeat the challenge. You can contact @pharesim or @tashidelek on the Discord with if you have any questions or problems during the tournament. Still don't have an account for @steemmonsters? Click on this link and buy a starter pack including an optional steem account to enjoy the tournaments, have a good time and go for those prizes. Should you still decide to buy booster packs because you feel lucky, make sure to get them on the official website or from licensed resellers and do not buy second-hand packs from other players, as there are some systems that allow you to know the contents of the packs before opening them. So, if you buy cheap packs from third parties, it is expected that the seller already might know the content of them, which will probably lead to disappointments for you. Read this publication by @pharesim if you want to know more details about the subject. Once it's time to fight, update the Challonge page and check your position in the bracket. These usually change after check in. Go to https://steemmonsters.com and click on BATTLE> CHALLENGE. Enter your opponent's name, specify the NOVICE league and click Send. Your opponent will have 10 minutes to accept the battle or he will be disqualified. Once the challenge is over, you will be responsible for adding the results in Challonge. Go to https://steemmonsters.com wait for your opponent to send you the challenge. If you did not receive an invitation to a challenge after 5 minutes, proceed as if you would occupy the top. In case you do not agree with the result that your speaker added, contact @pharesim or @tashidelek on Discord. All players should be available on the Monsters Tournament Discord. Try to solve or better prevent disputes with your opponent directly! If you didn't check out the official Steemmonsters Discord yet, you should definitelydo that too! 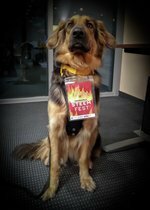 We will have the @pharesim witness as a sponsor and as a special guest we will have the SteemFest mascot par excellence @jukatravels. We wish all of you best of luck and a lot of fun with this new tournament series, see you on the battlefield! Vote @pharesim as a witness here! If I'm allowed to be honest: personally I think the first edition of these novice tournament was a joke. The tournament was announced to be set up for those people who couldn't afford to buy there way up. Inspite of that, all big accounts jumped in. I plead guilty: after seeing all the big names in the list, I decided to sign up too. My main motive for that was to try to make sure the people who were supposed to be benefiting from this tourney would actually benefit. With all the big players playing, the smaller accounts wouln't get a single chance. I decided that if I would win a prize, it would be distributed to the people who need it the most. Unfortunately, I lost in the first round. So once again a lot of false expectations had been created. There was no way someone with a lower deck and less experience could ever catch a prize. Personally, I think it is a shame that social ethics don't seem to exist when money is involved. Once again, the real novices see an opportunity to grow their account taken away from them. Another disappointment. We really need to give them REAL chances into real 'novice only' tournaments, or we'll lose them in the long run. When I look at the subscriptions for the next novice tournments, the same names pop up in the lists over and over again. And ghose names are not the ones of the people who can't afford to buy cards to build their decks. The fact that my level 6 alt account received a personal invitation to join the tournaments through DM on Discord is a symbol of everything that is wrong with this setup. How on earth can players with incomplete level 1 decks and level 1 experience ever win from all the Diamond league players. An argument could be that all cards are capped at level 1, but be honest, that's a joke. Many people who have just started can't even afford the epics, let alone the legendaries. It's simply not a fair competition. Totally agree with you. Beginners should have more opportunities to participate in these types of tournaments. On the other hand, @rentmoney is right to say that your information is not correct. We have decided to ban legendary cards in the next tournaments to try to make everything a little more fair without restricting participation to any player. We hope that this way everyone can have even more fun! Great that you are launching these tournaments! Could it be a solution maybe to not allow any players which finished last season in any league higher than 'Silver'? Hello @kobold-djawa, thanks for your kind comment and sharing your suggestions. We have never wanted to restrict participation to any player. We are very happy to have taken the decision to ban the legendary cards and I think that with this new rule the tournaments are much more balanced to give the opportunity to win the real beginners. We would like everyone to be able to participate and have a good time. You are spreading incorrect information. From my understanding of this announcement post the game is open to everyone but is set at the novice league level so those with smaller leveled cards have a chance at winning some funds. The host even says in the comment section here, that I am sure you read before creating this response, that the game is for everyone. Higher level cards have no advantage. Those who play with higher level summoners do not have an advantage vs those who more often play with lower level ones in a novice league game. If anything the person who is more custom to playing at the lower levels would have the advantage. It seems to me you are upset about something that you thought was one thing (A tournament just for newbies) but was something else (A tournament for everyone played in the novice league that gave newbies/novice players a chance to win some funds). I would like to thank the host for putting on this game as I know it can be time consuming setting up and hosting such a series of tournaments. Anyway! This is great, I will share and I think that there are plenty of people who will sign up. I'm a tournament novice with a reasonable set of cards, and so I hope I can join! I did not know that bot! I have reviewed the post but it is correct. It didn't comment in Spanish post that I published 5 minutes before. Thanks for sharing! Everyone can participate! I will participate with my SM account @j-p-bs, the only problem is that you can't use "-" on challonge so I used "_" instead. And one more thing, I think the hours are wrong in the table. You're right! We have already rectified them, on challonge. Thanks for letting me know and good luck in the tournament! You got a 55.85% upvote from @ocdb courtesy of @tashidelek!